Card. Dziwisz recalls, among other things, the indults issued for the United States (1994) and for the Church in Ireland (1996), which approved a policy known as zero tolerance. The Pope’s personal secretary also draws attention to the document “Sacramentorum sanctitatis tutela” on the protection of the sacraments’ sanctity, published in May 2001 on the initiative of the Holy Father, and the norms “On the most serious crimes” promulgated at that time. 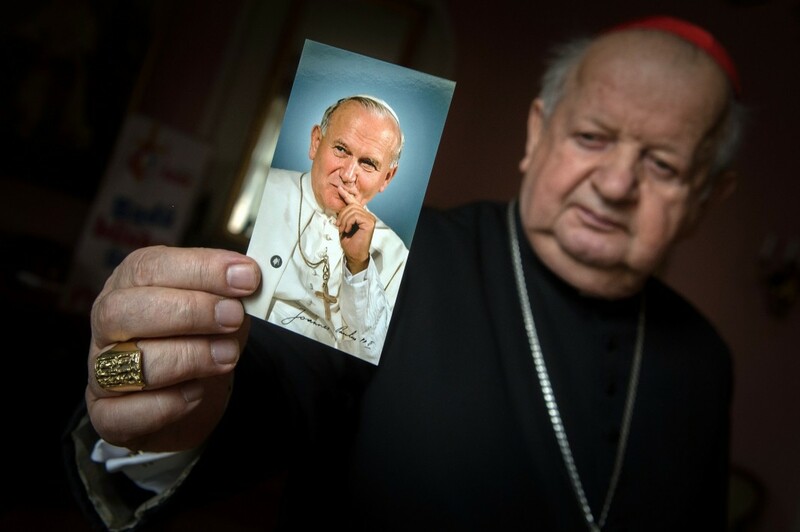 The emerging opinions that John Paul II was sluggish in guiding the Church’s response to the sexual abuse of minors by some clerics are prejudicial and contradict the historical facts. Pope John Paul II did not replace bishops in individual countries in their responsibility. Observing the life of local churches, he saw how they were dealing with emerging problems. When it was necessary, he helped them, often on his own initiative. He did so at the request of local episcopates. This is how he reacted to the crisis regarding the sexual abuse of minors. When, in the 1980s, the crisis began to ferment in the Church in the United States, the Pope first observed the activities of the episcopate of the United States, and when he came to the conclusion that new tools were needed to fight against these crimes, he gave the church superiors new powers. These were, for the bishops, an unambiguous indication of the direction in which they should fight. It suffices to recall that in 1994 John Paul II issued an indult for the United States and two years later for the Church in Ireland, approving a policy known as “zero tolerance.” The Pope was shocked. He had no intention of tolerating the crime of pedophilia in the Church and fought against it. When it became clear that the local episcopates and religious superiors were still unable to cope with the problem, and the crisis was spreading to other countries, he recognized that it does not concern only the Anglo-Saxon world but has a global character. We know that, in 2002, there was a wave of revelations in the United States, caused by publications known to all as “Spotlight.” However, not everyone remembers that just a year before these events, in May 2001, on the initiative of the Holy Father, the document “Sacramentorum sanctitatis tutela” (Protection of the sanctity of the sacraments) was published. At that time, the Pope promulgated the norms “On the most serious crimes”. We know the groundbreaking importance of this legal act. John Paul II reserved all sexual crimes committed by clergy against minors under the age of 18 to the jurisdiction of the Apostolic Court of the Congregation for the Doctrine of the Faith. He also obliged each bishop and superior religious to report to this Congregation all such crimes, if their probability was confirmed in the preliminary investigation provided for by the Code of Canon Law. 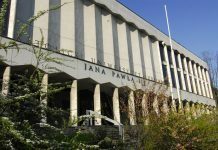 Further proceedings were continued under the control of the Apostolic Court. The analysis of the crisis was presented by John Paul II in April 2002 to the American cardinals who were called to the Vatican after the publication of “Spotlight.” Thanks to the clear rules that the Pope indicated, the degree of abuse in the US has decreased. To this day, this analysis serves as a reference point for all those committed to fighting against the crime of sexual abuse of minors by clerics. It helps to diagnose the crisis and indicates the way out. This has been confirmed by the summit in the Vatican convened by Pope Francis, who in the fight against this problem is following with determination the path of his predecessors. Finally, I must say a word about the case of Maciel Delgollado. It has been said that John Paul II was covering up his criminal activity. The facts speak differently. Let me just remind you that the Congregation for the Doctrine of the Faith already began investigating the accusations against Delgollado during the pontificate of John Paul II, precisely in December 2004. At that time, Msgr. 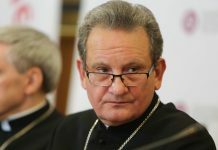 Charles Scicluna, then Promoter of Justice and now the Archbishop, was sent to Mexico and the United States with another lawyer, to carry out the necessary activities in this matter. The decision to initiate this investigation could only be taken with the knowledge and approval of John Paul II. These activities were not interrupted even during the time of the sede vacante, after the death of John Paul II, and could, therefore, be concluded by a verdict at the beginning of the pontificate of Benedict XVI.